SE-Test India Pvt. Ltd. is among the leading mud balance testing equipment manufacturers in India and we cater to the engineering firms in real estate, infrastructure and other construction projects. Our products are supplied to universities, engineering education institutions and testing labs in India and world. Such wider service orientation makes us the top mud balance testing equipment suppliers! Specifications:Reading of the specific gravity of the semi liquid is thus derived instantaneously. 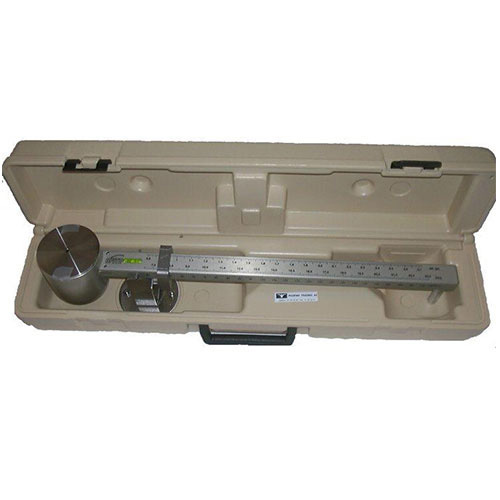 Simple to use, this apparatus offers on the spot measurement of density and this in turn helps the engineers to make the relative comparisons for the purpose of project execution. Quality and precision assured:Our mud balance is developed as per the standard benchmarks that are globally accepted throughout the world. Additionally, our manufacturing division is operated with strict quality control so as to maintain the performance attributes at the best. We use highest grade stainless steel and calibration components to ensure high precision and accuracy. Since our product is on par with that of the international manufacturers, SE-Test India has become the leading mud balance testing equipment exporters.